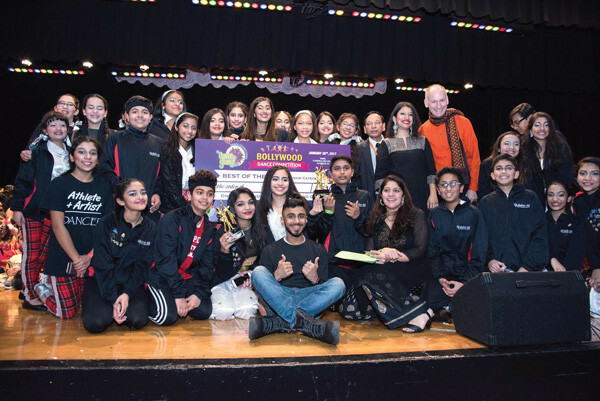 The Federation of Indian Associations of New York, New Jersey and Connecticut celebrated the Republic Day of India with its annual dance competition – Dance Pe Chance. 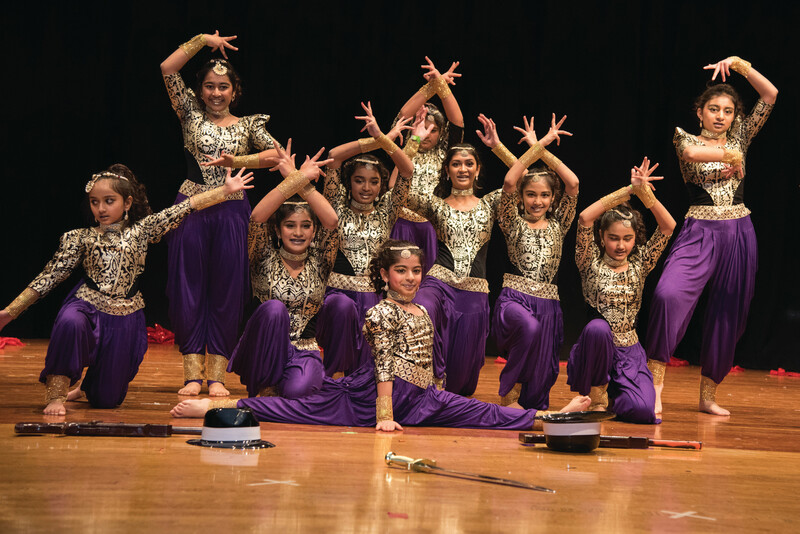 Eleven dance schools from the tristate area participated in the event held Jan. 28 at the Plainfield High School. More than 450 students, some as young as five, showcased their talents, while the choreographers displayed their creativity in the dance sequences, costumes and techniques. Different themes including patriotism, worship of Lord Ganesha, and life at an American school were featured,a FIA press release said. The contests were held in three categories – minor, junior, and senior. Deputy Consul General of India in New York Dr. Manoj Kumar Mohapatra, seventh from left, with FIA executive committee members. The evening was kicked off with the opening remarks by Srujal Parekh, executive vice president, who introduced Mamta Narula, the master of ceremonies. 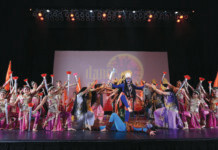 Chhavi Dharayan, general secretary and chair of the Dance Pe Chance for the third consecutive year, introduced the DPC team. Past president Anand Patel formally welcomed all the participants. As per tradition, the new officials of FIA took the oath of office during the event. Andy Bhatia (president) Srujal Parikh (executive vice president); Alok Kumar (vice president); Chhavi Dharayan (secretary); Jatin Patel (joint secretary); and Himanshu Bhatia (treasurer) took the oath office before outgoing president Anand Patel and Deputy Consul General Dr. Manoj Kumar Mohapatra. Ramesh Patel, chair of FIA, felicitated the outgoing and incoming officials and praised the team behind the event. H.R. Shah, recipient of the 2017 Padma Shri award was also felicitated at the event. TV Asia will be hosting a live program every Tuesday with a consulate official to answer questions about passport or visa related matters. He asked people to utilize it to get correct information. 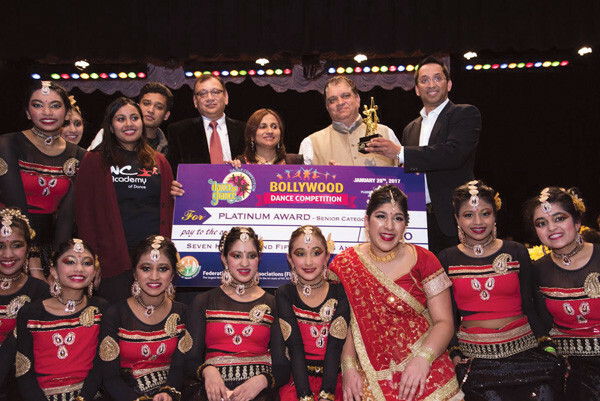 Jonathan Hollander, founder of the Battery Dance Company, and Dr. Kavita Gupta, were among the judges for the evening. 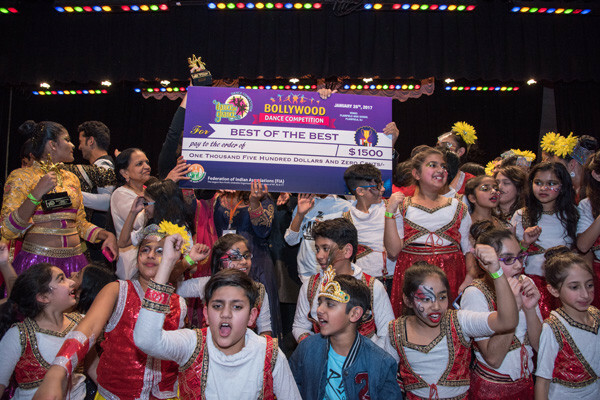 Desi Talk publisher and Padma Shri awardee Dr. Sudhir Parikh Albert Jasani of Royal Albert’s Palace, Rajeev Bhambri of India Abroad, Dr. Sanjay Gupta, Yash Paul Soi and other prominent members of the community presented the trophies to the winners.